*I know that most of my readers have already seen my review of this product, but because I removed it from my regular routine, I just decided to create a separate post on it so all future readers will be able to see it. 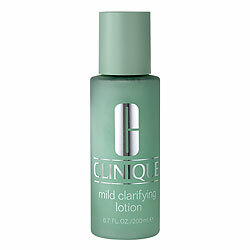 Oh, and I also covered this product in my Part 4 of my hydroxy acid series on FutureDerm. That post can be found HERE. Positives: This contains 0.5% salicylic acid at a pH of 2.9, which is great. This product also has some water-binding agents such as the arginine amino acid and millet seed extract. Packaging: This is packaged in a tube container with a large opening. However, the general lack of antioxidants and air-sensitive ingredients renders this characteristic quite irrelevant. Overall: This is a slightly viscous toner that’s appropriate for those who don’t really deal with breakouts; perhaps just the occasional blackheads and whiteheads. Or for those who are sensitive to SA, but still want the benefits. Overall, it’s a mundane but still effective formula for select users. Plus the price is pretty good. Check the Product Review Rubric for a full explanation on how I rate products. Water, Butylene Glycol, Biosaccharide Gum – 1, Hydroxypropyl Cyclodextrin, Salicylic Acid, Aloe Barbadensis Leaf Powder, Arginine, PEG-10 Soy Sterol, Ceteth-20, Panicum Miliaceum (Millet) Seed Extract, Dimethicone, Ceteth-2, Bis-PEG-18 Methyl Ether Dimethyl Silane, Cetyl Alcohol, Phenoxyethanol, Green 5, Yellow 10.